Do I really have to shower? I always find myself asking this question post-gym because I hate the whole communal shower situation. And, secretly, I kind of like leaving the salty residue of my workout on my skin — It's that silent assurance that I did, in fact, pick myself up out of bed to be active (an hour earlier than usual, no less!). Still, not showering is risky. No one wants to see — or smell — the remnants of the 45-minute hot yoga class I did before work. The solution: Body wipes. Because even I know, as much as I loathe the time-consuming process of bathing, that it must be done in some capacity. I use these wipes from Recess because I'm perpetually short on time, the public showers in my gym are untrustworthy, and I would rather feel semi-clean than not clean at all — so, I keep these in every bag I own. Formulated with hyaluronic acid (to moisturize), vitamin C (to brighten), caffeine (to reduce redness), chamomile (to calm and soothe), and eucalyptus (to stimulate skin repair) these alcohol-free, non-comedogenic wipes are a lazy person's dream. They're about the size of a dryer sheet, so depending on how dirty you are, you could probably cover the most important places (underarms, chest, underboobs) with just one wipe. And something about the scent reminds me of a Clean Cotton Yankee Candle. 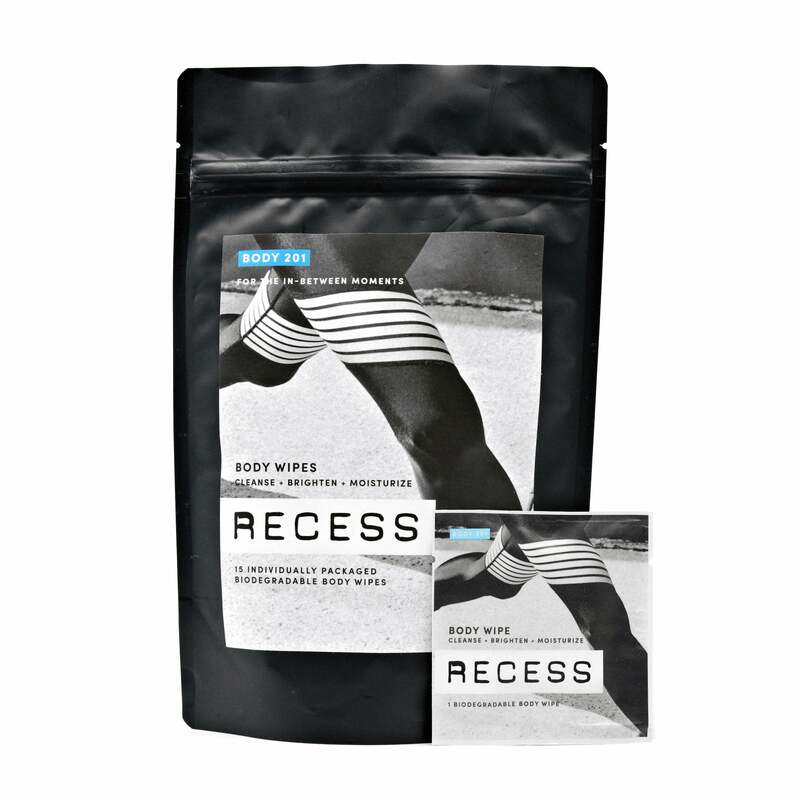 Recess Body 201: Body Wipes (Pack of 15), $26, available at Recess.